The May Bank Holiday weekend is upon us, as are The Badminton Horse Trials 2018! It also appears that temperatures may rise from their arctic setting just in time for a spot of high class 3-day eventing; thank goodness! Who’s going to win this year’s prestigious 4 star ‘Mitsubishi Motors Badminton Horse Trials’ I wonder? And who’s going to win the style stakes? Top event rider herself, Zara Phillips? Hmm, I do believe she’s about to give birth soon and I doubt the Duchess of Cambridge will make an appearance after her recent ‘arrival’ either. A shame as she epitomises effortless country chic with her Barbour jackets, Spanish riding boots and sleek tweed skirts. 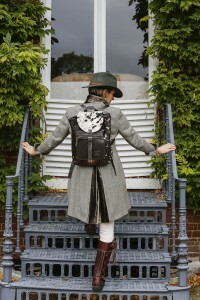 If I was going, I would wear my comfortable Hunter wellies, so I can peg it around the cross country course, fedora, a spot of tweed and lashings of cowhide accessories naturally! 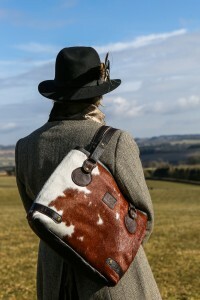 So here goes…here is an exclusive edit of unique Zulucow cowhide accessory options for your weekend of equestrian sport in the British countryside…. 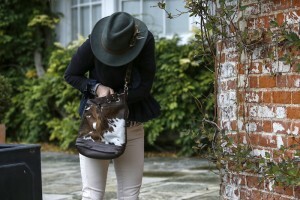 Zulucow’s best-selling Cowhide Bucket Bag is surprisingly roomy and very practical. With its detachable straps one can wear it in the crook of one’s arm, over the shoulder, or hands-free with the cross body strap – fabulous if you’re trying to secure a spot at the water jump to watch Pippa Funnell in the cross country phase. 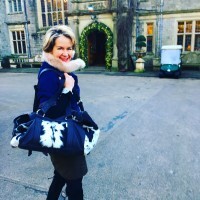 But there’s one thing for certain; I’d definitely be taking my Zulucow Cowhide Clutch/Purse with me for some serious ‘Badminton Shopping Village’ purchases! Looks like we may all at last be able to jettison our winter gear and don bikinis whilst roasting in front of the BBQ this weekend; with a heatwave forecast. Always prepared, I will still fill my Zulucow Weekend Bag with a warm jumper, mac and boots! 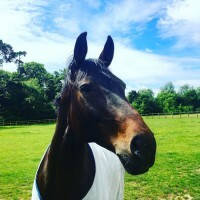 What ever you do this bank holiday weekend; I hope you have a fabulous time in the sun and good luck to to GB’s Badminton riders: Ros Canter, Pippa Funnell, William Fox-Pitt, Gemma Tattersall, Oliver Townend and the rest of the team.